A lone castle, isolated from the town below. A wild-eyed scientist has pieced together parts from various “donors” in order to create a human being. Lightning flashes in the sky and strikes a lightning rod, kicking the machinery below into action. When everything is said and done, a lone finger rises from the compiled body. It’s alive! But, how did we get here? Grave robbing was good pay in the late 1700’s/early 1800’s. Doctors and scientists were just beginning to study anatomy and would pay for a corpse to dissect. Nefarious individuals would go into cemeteries at night and dig someone up, then meet for the dropoff and payout. Money is money, right? 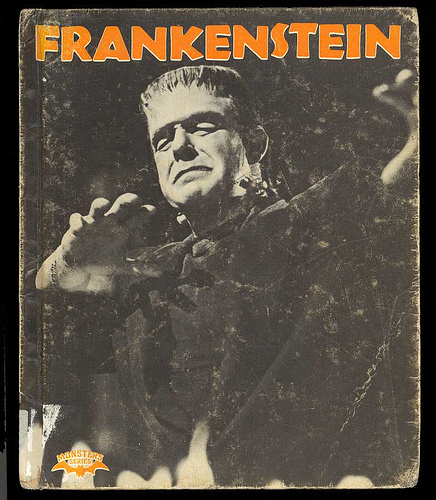 The “Frankenstein” story was about Victor Frankenstein, a scientist who became inspired by modern studies and combining them with older alchemic studies, proceeds to bring inanimate objects to life. Once he does bring it to life, however, he is horrified by what he created and runs out of the room, fleeing from the creature. Within a year’s time he recovers, but finds that his youngest brother is murdered. Is it the work of the creature? On a hike in the Geneva Mountains the creature finds Victor and tells him a story about helping out a family that turned on him, and that all he wants is a companion. Victor goes to create such a companion, and then destroys it. The creature retaliates by killing Victor’s best friend and wife. Victor is then in hot pursuit of the creature, following him to the Arctic. Victor finally dies from ill health and the creature is disheartened, leaving on an ice raft. 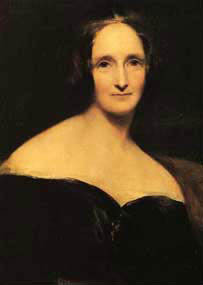 Mary Goodwin/Shelley wrote “Frankenstein” in respect to Gothic novels and the Romantic Movement, and as a response to the Industrial Revolution of the time. Victor Frankenstein had more of wonderment with science, and the creature became a rejected child that emotionally and mentally grew up with loneliness. She was speaking out about how times were changing, and how man mentally reacted to the change. There’s also something to be said that the creature is the “Frankenstein monster,” seeing as Frankenstein never named it, rejecting his creation in horror. While critically panned, the book became hugely popular. Theatre producers loved the concept of a scientist “piecing together” and animating a man, but weren’t too keen on the “psychological implication” aspect. Victor slowly became more and more crazy, and the monster began losing any human qualities he had. These changes to the story led to another “creation”: the mad scientist genre. The fine line between genius and insanity depended upon what the mad scientist was trying to do which usually involved mutating humans, body-swapping, etc. Back to “Frankenstein.” Thomas Edison created the first “Frankenstein” movie in 1910. A few other silent “Frankensteins” were also created until 1931, when Universal released what has became the most widely known and recognized Frankenstein movie to date. 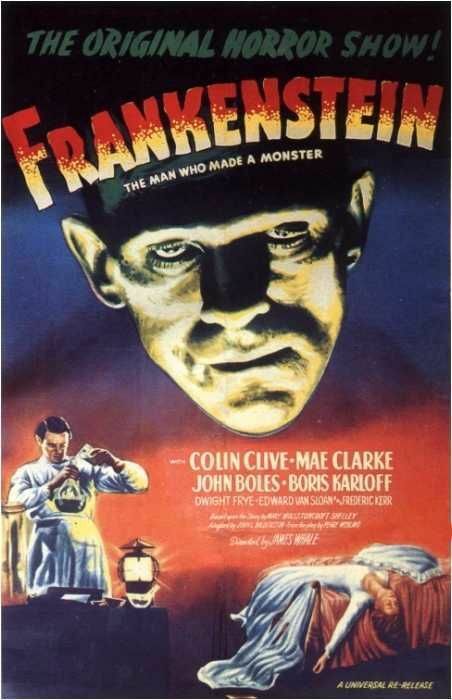 Starring Boris Karloff as the monster, “Frankenstein” was about Dr. Henry Frankenstein (Colin Clive), a scientist who is busy at work in his lab with his loyal hunchback, Fritz (Dwight Frye). When his fiancée convinces his old med school prof Dr. Waldman (Edward Van Sloan) to speak with him, they find he manufactures a creature (Karloff). The creature comes to life. Waldman tries destroying it, but the creature kills him. The villagers start a manhunt and chase the monster to a windmill. They set the windmill on fire, the creature burns, and Frankenstein is saved. Of note, the movie was based more on Peggy Webling’s 1920 play than the book. “Frankenstein” joins “Dracula” in the sequel factor. “The Bride of Frankenstein” came next in 1935, seizing on the “Frankenstein” name and attributing it to the monster more so than the scientist. 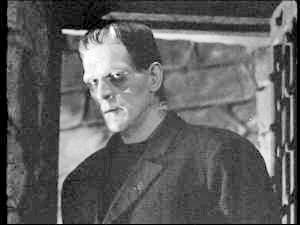 Following that, “Son of Frankenstein,” and “Ghost of Frankenstein.” The Frankenstein monster was the influence for Herman Munster on the TV show, “The Munsters.” And the original “Frankenstein” movie was spoofed by Mel Brooks in the film, “Young Frankenstein.” Trivia note: Brooks was able to use the exact same props and set pieces from the original movie.